The fee for the short course is $1195 by 4PM Mountain Daylight Time, February 23, 2014 ($1395 after February 23). You will be invoiced for the tuition balance. The fee covers instruction, course notes, refreshments, and continuing education units. Lodging and meals are not covered. Payment in full must be received prior to the beginning of the course. The registration fee may be paid by check, VISA, MasterCard, AMEX, Discover or purchase order (US Only). A maximum of 20 applicants will be able to attend the course due to space limitations. If cancellation is made before February 23, 2014 , tuition will be refunded except for the $100 deposit. Cancellations made after that date will forfeit a $150 processing fee in addition to the $100 deposit. In case of cancellation, the right to course material is forfeited. Substitutions are permitted at any time prior to the start of the course. Please be advised that if the program is cancelled due to insufficient enrollment, Colorado School of Mines will return all course fees, but will not be liable for any other expenses incurred by the prospective attendees. 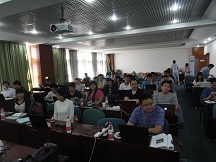 This 1.5-day short course entitled “Modeling of Water Flow and Solute (Salinity) Transport in Porous Media using the HYDRUS-1D Software Package” is intended for the participants of the Second Research Coordination Meeting (RCM) of the Coordinated Research Project (CRP) on “Landscape Salinity and Water Management for Improving Agricultural Productivity” (D1.20.13) and for other interested participants from China. 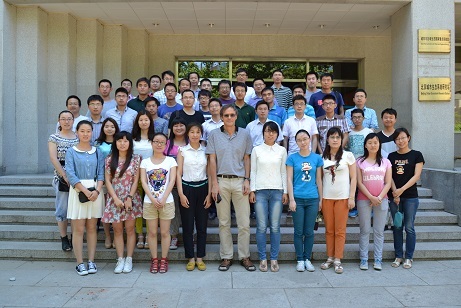 The short course is organized by the International Atomic Energy Agency (IAEA) and the Chinese Agricultural University in Beijing. 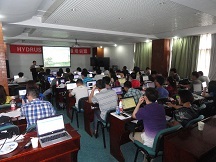 This 1.5-day short course entitled “Modeling Water Flow and Contaminant Transport in Soils and Groundwater Using the HYDRUS Computer Software Packages” is intended for the graduate students of the Chinese Agricultural University in Beijing. 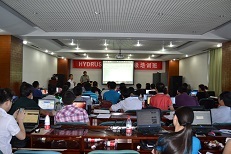 The short course will focus on the Hydrus-1D and Hydrus (2D/3D) software packages. Modelling water flow and contaminant transport in constructed wetlands using the Wetland Module of the HYDRUS software package. The 2.5-day shortcourse starts with a detailed description of water flow and solute transport processes in the subsurface, followed by a brief overview of numerical techniques used to solve the governing flow and transport equations. Special focus will be on the highly nonlinear nature of the governing equations when applied to variably saturated media. Alternative methods for describing and modeling the hydraulic functions of unsaturated porous media are also given. 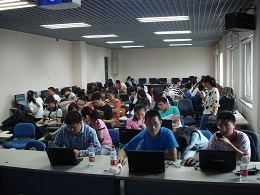 Hands-on computer sessions allow participants to become familiar with the Windows-based HYDRUS-1D and HYDRUS (2D/3D) software packages. Emphasis will be on preparation of input data for a variety of applications, including one-dimensional water flow and contaminant transport in the vadose zone, two-dimensional contaminant migration from a surface source into and with groundwater, and a three-dimensional pollution problem. Other topics to be discussed are analytical transport modeling using the STANMOD software package, nonequilibrium dual-porosity transport using HYDRUS-1D, multicomponent transport using the HP1 module, and the solution of several inverse problems. Lectures and computer exercises will be given mostly in English, but with detailed summaries in Portuguese as needed. The course will end at noon on November 6. Attendance is free for university students and faculty, research institutes and private companies. However, the number of participants is very limited due to space limitations. For more information (registration, course material, location, transportation, etc. ), please visit the following link: http://igce.rc.unesp.br/#!/departamentos/geologia-aplicada/laboratorios/lebac/cursos-online/ or contact Dr. Miguel Soto Alfaro, alfaro@rc.unesp.br, telephone (+55) 019-3526-9442.